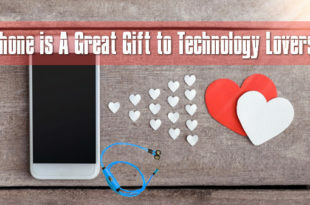 With Valentine’s day approaching around the corner, couples can increasingly sense love in the air. 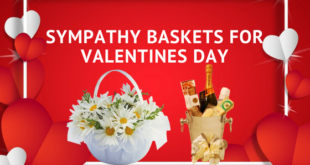 And decking up your house or any other party venue for the special occasion is a great idea to amaze your loved one and make them feel appreciated. Often people get confused as to how they can indicatively fill their homes with everything red and white, but it’s time to take the opportunity and allow your creative side to run free. 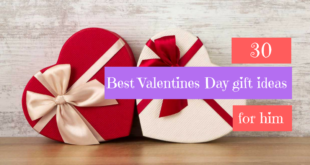 From printables to paper roses and hanging hearts, there are a breadth of options to add that perfect touch to your own little Valentine display. 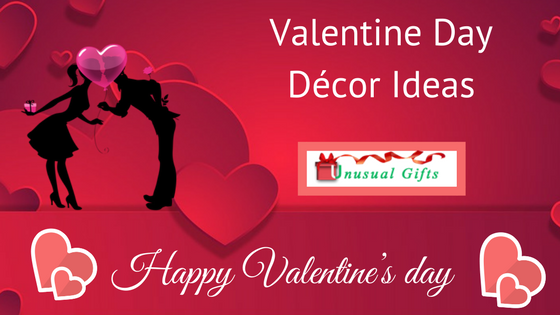 Following are some thoughtful Valentine day décor options and party ideas to welcome the special day in style. 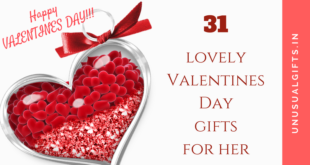 300 intricately designed heart paper doilies are available in pink, red and white colours and can be used for making interesting DIY crafts, gift wrapping, goodie bags, and party invitations. Also, these beautiful lace cut designs can be hung on walls or used to decorate your tables to create the perfect romantic setting on Valentine’s day party. Built from plastic material and bright colours, these are great decoration supplies for your window display and can even be displayed from light fixtures and ceilings. 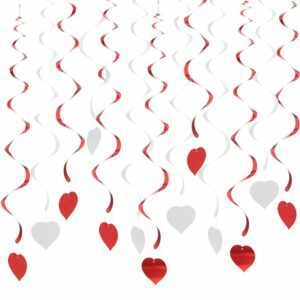 There is a heart attached to each of the swirl that adds to the essence of the occasion. Easy to install and providing variety of options for a gorgeous backdrop, they definitely have the stage setting for beautiful pics. 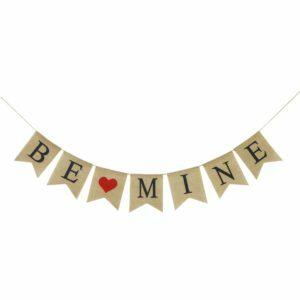 The premium quality, hand strung burlap banner is adorable and adds a great look on your walls, window or upon other decorations. 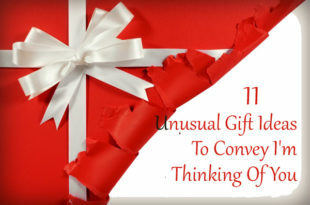 It is also a lovely little gift that you can use to surprise your loved one. You can even hang it for photo backdrops and click some sweet pics under it. 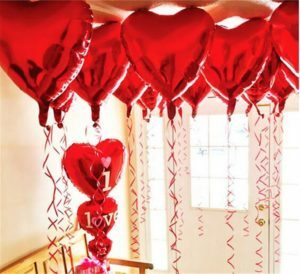 These beautiful red foil balloons, inflated with air or helium, can be used in bunch for decorating the entire room and creating an enchanting atmosphere for the upcoming Valentine occasion. Made from high quality foil, they can even be reused in various other occasions for promotional and decoration purposes. 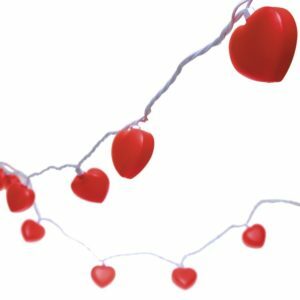 The red heart shaped string lights allow you to literally put love in the air, making your Valentine day party a big hit. The light sets are available in 10 two inched lights and one long 8 inched light. They are everything that will make your party a class apart and stand out from the usual. 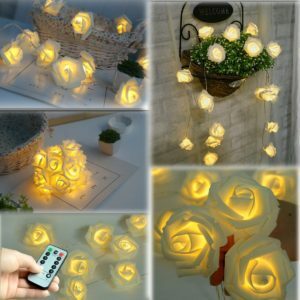 Valentine’s day décor with these beautiful glowing classic roses is perfect to set a gorgeous romantic setting for the occasion. They come in 8 lighting modes that you can use alternatively as required. Wireless remote control system and an auto time feature make its usage all the more convenient, desirable and handy. Beistle presents an elegant centrepiece with wire stems and small red metallic hearts supported on a wrapped base and featuring an adorable little bow. The centrepiece is just ideal for all festive occasions and is something that will definitely catch the attention of your guests and family members. 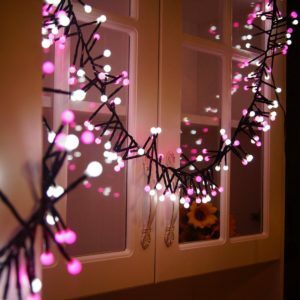 A subtle and elegant combination of white and pink colour lights, works amazingly well for creating a romantic and warm atmosphere for the Valentine day occasion. Adjust it to any of 8 lighting mode settings and the pretty fairy lights bring in a new backdrop every time with more glamour and party fervour. Use them to hang on your windows, walls, mirrors, ceilings or on other decoration pieces for in different modes for an accentuated effect. 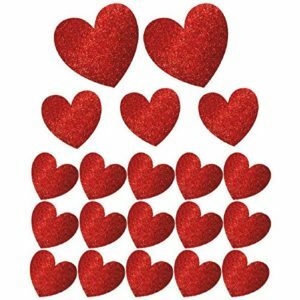 Featuring 20 pieces of beautiful glittering red hearts in a variety of sizes, this value pack offers to liven up your Valentine party in love and warmth. 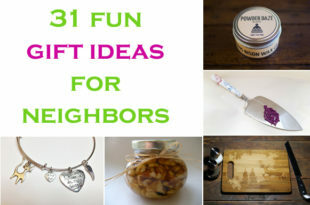 The lightweight decorations can be easily installed on windows or walls. The perfect centrepiece decoration for adorning your party table, this 3D stacked heart is all shine and glitters and adds a unique touch to your Valentine night. This cute addition brings in an extra dose of romance and glamour to the party setting. 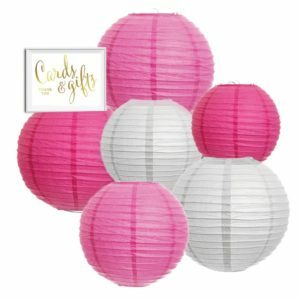 Decorate your party space in the most beautiful manner with these simple and elegant paper lanterns in white and red. Metallic gold ink contained within these lanterns make them shine gorgeously in the lights. 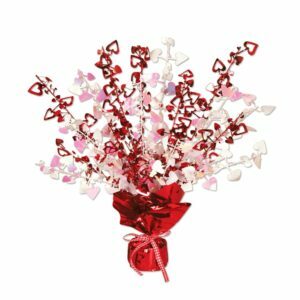 This particular Valentine day décor item can be used in various other occasions such as weddings, birthdays or baby showers. 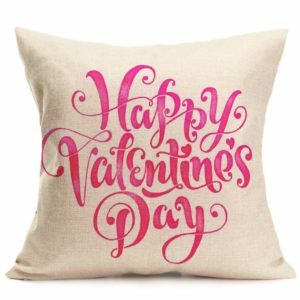 Decorate the pillows on your beds and sofas with these cute pillow cushion covers for Valentine’s day occasion. These decorative pillows set the perfect mood for couples and are also amazingly comfortable for use. 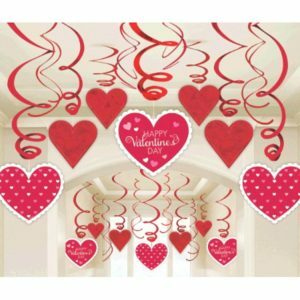 Brighten up your decorations for Valentine day with these cute sheets of window clings. 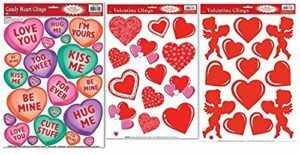 Great for decking up any wall space, they are available in 3 sheets featuring candy hearts, hearts and cupid that flaunt adorable messages for your loved ones on the special occasion. In a series of pink and red paper hangings in numerous beautiful designs, these paper constructions present various fluffy decorations to add to your party feel. 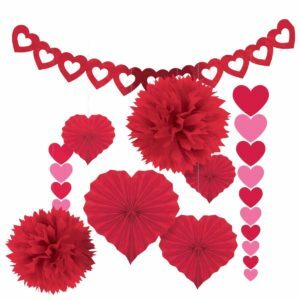 Bring in a romantically festive look to your party room and deck it up with this easy to assemble decorating kit. 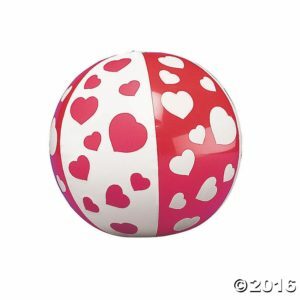 Mini Beach Balls with beautiful heart designs engraved are great party favours to add fun to the Valentine night. The package brings in 12 such balls that make for a great addition to your party decorations. 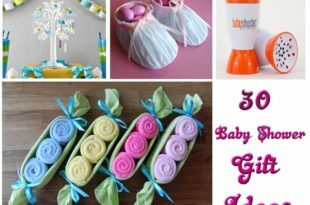 Featuring a number of classy swirl decorations with paper and foil cutouts, these are easy decorations that can be used to hang from ceilings. 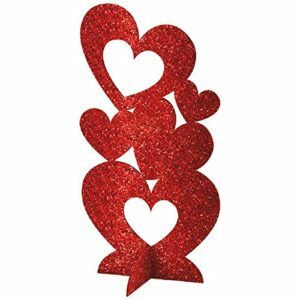 Attached plastic hooks allow for easy set up and the cardstock cutouts set in the mood of your loved ones to revel in the party.